Bi-Pods There are 4 products. 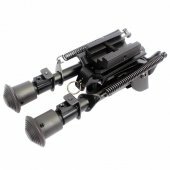 The BT paintball gun bipod adapter is required to mount the BT bipod to any barrels other than the BT M-16 or BT M-16 APEX paintball barrels. 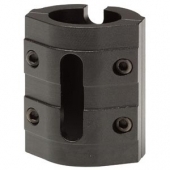 Killhouse Foregrip with Action Bi-pod. Designed for the scenario player, works great on your Tippmann or BT marker, or any gun with Weaver (Picatinny) style mounts. 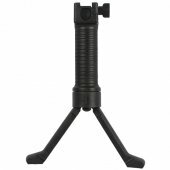 This Picatinny Bipod is a universal bipod that will fit almost any marker, and will give your marker the stable shooting platform you need to be a sniper. 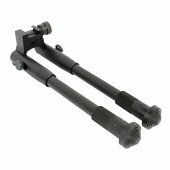 Maintain an accurate shot at long range with the Universal 6" Bipod by Killhouse Weapon Systems.